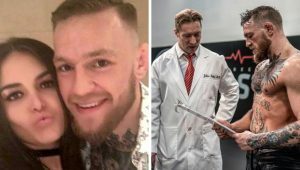 The Ultimate Fighter contestant who is set to fight Paige Vanzant on January has reportedly suffered a broken orbital bone after an assault by “someone close to her” early Sunday morning. Now, law enforcement opened a ‘felony domestic violence investigation’ on the case. Honolulu Police Department spokesperson Sarah Yoro disclosed the involvement of “a 27-year-old female victim and a 27-year-old male suspect” on the incident. According to Yoro, these two were on an argument prior to the alleged attack. According to the police, the attack happened at 2 AM on Sunday at a Waianae section residence in Honolulu County. 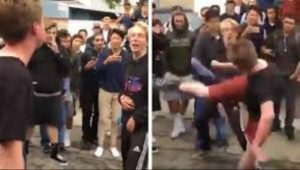 As of the moment, there has been no arrest and cops are looking at a second-degree assault, which falls as a felony in Hawaii. 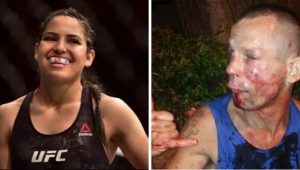 Though the Honolulu PD did not release the names of the involved, sources told MMA Fighting that Ostovich is the female victim and her husband Arnold Berdon is allegedly the male suspect, who’s an MMA fighter as well. The female flyweight contender was released from the hospital on Monday after receiving medical treatment for a broken bone on the face. The 27-year-old fighter is scheduled to take on VanZant at UFC Brooklyn on January 19 for the UFC’s ESPN+ debut. However, Ostovich’s management revealed that they are pulling her out of the bout due to the injuries. Vanzant is supposed to be the biggest opponent on the rising star’s UFC career. However, Ostovich will see her most crucial battle vanish or suffer a delay after the ugly attack.